Bestselling author Arielle Ford shares how to rekindle romance and improve our romantic relationships to find happily ever after. She shares about her newest book "How to Turn Your Mate Into Your Soulmate." 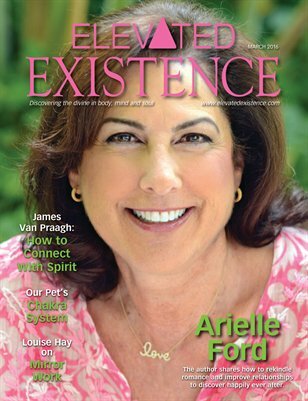 Also in this issue, author Linda Howe shares how to discover the true path our soul is meant to take in this life. We also highlight Louise Hay's Mirror Work, and share an exercise to help us heal, and psychic medium James Van Praagh outlines an exercise to connect with deceased loved ones. Gary Renard also teaches on the principle of A Course in Miracles; animal communicator Joan Ranquet explains our pets chakra system; and so much more!